Stretched across the wind-blasted plains lie a string of bubble-domes, neatly wrapped in dancing wind-powered turbines. This was the first colony. Peaking through clouds of burnt-orange dust, the limbering colony survived. Weather-worn, and certainly not without casualties, it remained a testament of humanity’s resolve; it was the triumph of the engineers, the physicists, the botanists, the politicians, the artists, the teachers — the people — who made it possible. 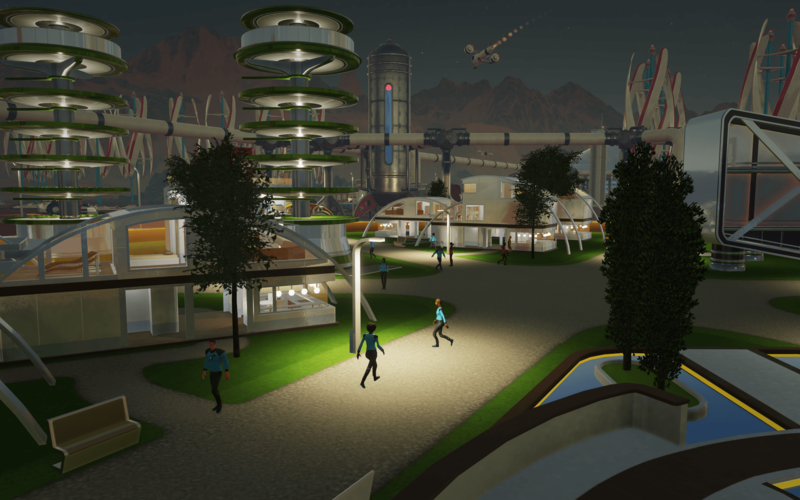 Surviving Mars, Paradox Interactive’s recent Mars colonization simulator, can be a powerful game, in no small part due to the exacting nature of its execution. Like many of Paradox’ games, it is a very dedicated simulation that offers (and demands) strict attention to detail. You need to build a balanced ecosystem that generates enough food, water, air, other resources for your colony to survive and grow. It’s a game all about persevering in spite of the cruelty that the red planet will surely visit on its first explorers. But because of that, it’s also very much about the narrative you construct with it. With formula can be enhanced by expertise — Knowing more of the science brings the science fiction to life. 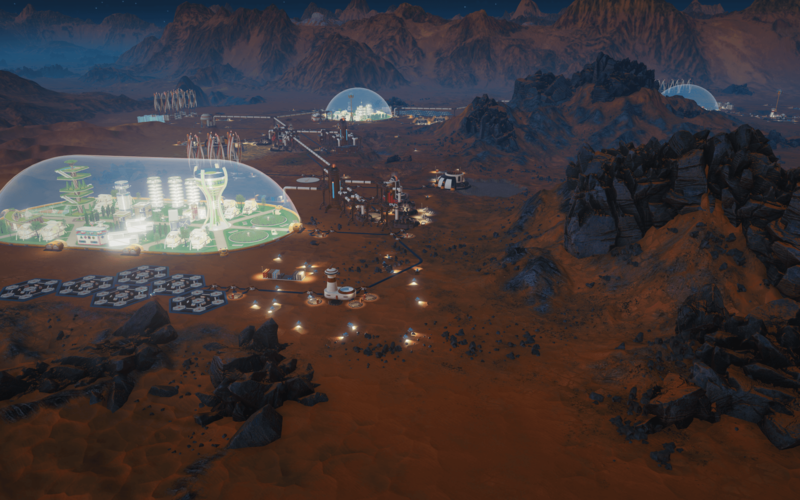 It is, perhaps, unsurprising then that a number of specialists including physicists, historians, and even amateur rocket scientists have taken to streaming Surviving Mars, and games like it, specifically because of that emergent drama. That’s not too different than what most streamers do. After all, the dynamic narrative created by someone playing the game live with an audience is part of why so many people stream and watch games on broadcasting platforms like Twitch. The difference here, though, for these games, the streamers are intellectuals and academics, offering plenty of opportunities to not only buy into the kick and the swell of the games themselves, but also the real-world history and science behind the rockets that may one day take us to the Red Planet. Kerbal Space Program was among the first games for academics interested in space to take a genuine look at. First released in early access in 2011, its premise is simple: make things fly to places you want them to be. But, of course, the catch is that you have to do a lot of actual rocket science to make that work. Kerbal is notorious for pulling very few punches — even as it allows all sorts of wonky rocket designs. Surviving Mars is all about persevering in spite of the cruelty that the red planet will surely visit on its first explorers and the narrative you construct with it. Manley and other channels, such as Vintage Space and Cam And Seb, have been running through videos for years that explain everything from what Kerbal doesn’t teach you, and show you how to construct your own replica missions. No one knows exactly what kinds of challenges face us, if and when we ever choose to try to put human beings on Mars. Even with dozens of probes dispatched, we barely know a thing about the planet. And though Surviving Mars is a game, there’s a definitive mystique to it. The events it covers will be so monumental and feel so close to the tack our real-world is taking (particularly with SpaceX’s recent Falcon Heavy launch, and the forthcoming development of NASA’s SLS), that playing feels a bit like roleplaying some actual mission commander a decade or so down the line. But that temporal proximity and feeling of inevitability belies just how many more challenges we’ve yet to conquer. Even if the rocketry gets sorted out, there’s the cost, the incredibly long flight to Mars, food, water, soil conditions, oxygen, power, etc. And all of that has to be ready and basically solved before your people even get there. Then, of course, you have to pack some number of humans into a tiny capsule to sling across an unfathomable void in the hopes that they’ll stay safe, mentally acute, and able to do the hard work of simply surviving once they’ve touched down. Much as might like to think that the first humans on Mars will be permanent residents, Manley says that’s just not realistic. No one knows exactly what kinds of challenges face us at Mars. And though Surviving Mars is a game, the events it covers will be so monumental and close-to-home that playing feels a bit like roleplaying some actual mission commander a decade or so down the line. There will be resupplies, of course, and it’s possible, even likely that we’ll decide to send down extra materials months or years before people get there, but even then, with a months-long wait in the event of something breaking, it’s hard to imagine anyone living out the rest of their natural life on another world. Domes are just too vulnerable. Maintenance on the glass, not to mention the volume of space you’d need to pressurize and supply with air make all but broad, shallow structures useless. But they do make for a nice visual. Instead, it’s likely that our first habitats will be pre-fabricated buildings that can be either printed on-site, or compressed for shipping and expanded as needed once filled with air. It’s sobering, but also a poignant reminder that any visitors we send will be visitors. Grounded buildings with sturdy foundations and the makings of a more permanent settlement are just so far beyond the scope of what’s feasible, it’s difficult, even, to simply describe it. Comparisons are often drawn between a Martian colony and research stations in Antarctica. Both would be extremely secluded, months away from help, and utterly dependent on the supplies they bring in. But, as Bill Nye said, people don’t go to the South Pole to raise a family. They don’t go there for a vacation, or even to start a new life. They go there to work and then they come home. Marvel Studios concludes its 22-film saga with Avengers: Endgame, the sequel to Avengers: Infinity War and the culmination of more than a decade of movies. It gives fans one of the franchise's most epic and emotional installments so far. Details for Persona 5 The Royal, an enhanced re-release of the original game, have been revealed in a new trailer from Atlus. The Royal introduces a new character that joins the Phantom Thieves and improves the overall experience. Days Gone’s predictable story is littered with repetitive missions, shoddy stealth and gunplay, and needless survival mechanics. It’s riddled with performance issues, like janky animations and consistent framerate drops. The features and events from Act 1 in the Anthem road map are taking a backseat as the developers work on the game's direction while bluntly stating that the online shooter is a long way from being the game they want it to be. Square Enix will once again hold its own press conference for E3 2019. These are the games we want the company to show during the event, including the long-awaited Final Fantasy VII Remake. Days Gone launches this week and the developers are already setting the stage for post-launch content. Starting in June with the Survivor mode, Bend Studio will begin releasing weekly free updates that include various challenges. Posted 21 hours ago — By Charles Singletary Jr.
Days Gone has a large open world set in the Pacific Northwest, with the main means of travel being Deacon's motorcycle. Fast travel exists, but it's not as simple as it is in some other open world games. Here's what you need to know. Days Gone has finally arrived on PS4 after multiple days. After more than 35 hours spent in the post-apocalyptic vision of the Pacific Northwest, we've learned a lot. Here are ten tips and tricks to help you get started.